[  126.325167] gsl_ts_read set data address fail! [  128.325170] gsl_ts_read set data address fail! [  128.325327] gsl_ts_read set data address fail! Looks like we had a corruption on 1st partition of the initial image. Image and partitions has been re-generated and uploaded. 🈯️ Just waiting for confirmation from Paul resolves inability to boot on his system. 🈯️ Test EMMC | Kernel Image will work for both sdcard & emmc. kernel.dtb is modified to work for both. If the image is built using https://github.com/sparkysbc/Linux.git it can be used for both sdcard & emmc. GPU support, as this SBC is mostly aimed towards Audiophiles and usage, will leave this out for now due to lack of time. Unless, we get significant interest from our users to implement it. 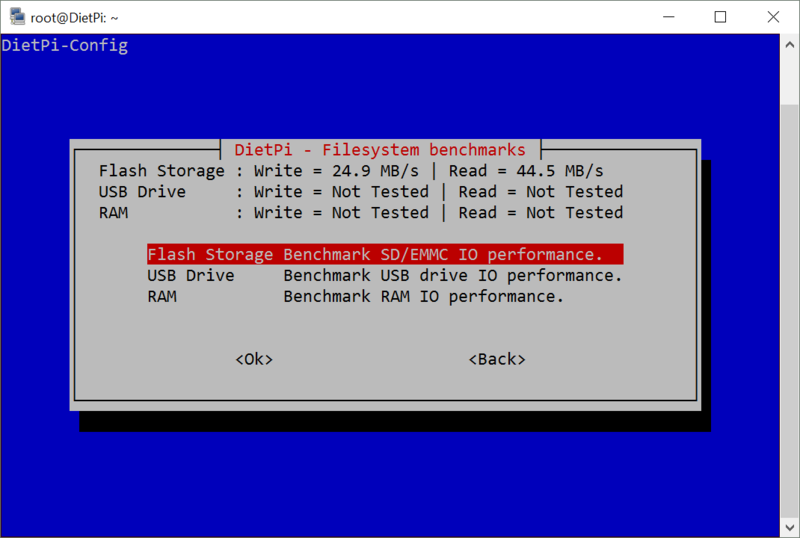 DietPi-Backup | Now supports BTRFS filesystems for target backup location. DietPi-Config | Audio > Sound card: Added support for "Allo Cheapo" sound card on Sparky SBC. DietPi-Config | Audio > Sound card: Added support for HDMI/3.5mm sound cards on NanoPi M2/M3. DietPi-Config | Audio > Sound card: Added support for RPi 'HifiBerry DIGI Pro' sound card. Typo | Correct use of MHz (previously Mhz). Thanks to Rainer. General | Odroids: Resolved an issue where Meverics custom CPU governor script, would override DietPi applied CPU govs during boot. General | RPi 3 Onboard WiFi is now functional. Completed. Will test Cheapo when it arrives. I have one more question. Dietpi can't recognize my I2s DAC AK4495 connected to Sparky SBC+KALI. What driver I need to install?